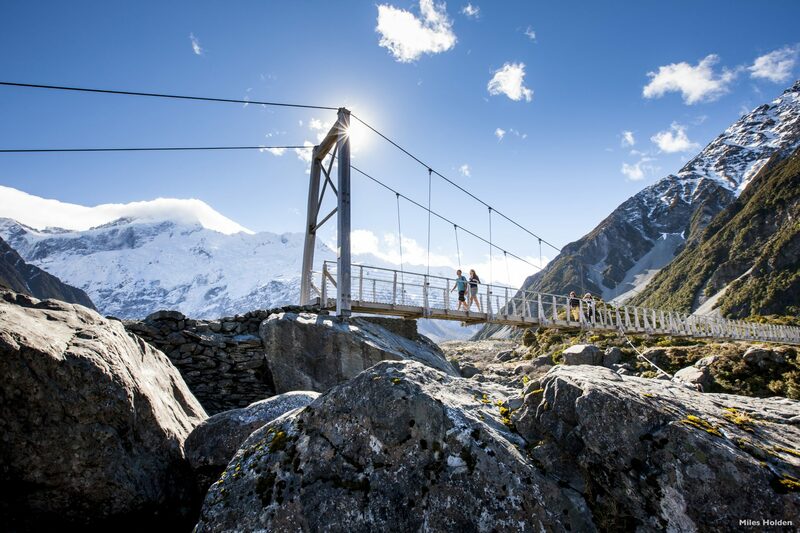 Travel from New Zealand’s adventure capital to her largest city on this exciting 11 day deluxe tour, covering the highlights of the country. Queenstown offers thrills, luxury and incredible scenery. Its gorgeous lakeside setting amidst sharp peaks attracts visitors from around the world. Consider a scenic flight to Milford Sound, before heading north toward Mt Cook and Lake Tekapo, where you’ll find the delightful Church of the Good Shepherd. Christchurch offers English charm, before you continue to the whale watching mecca of Kaikoura. Take the ferry through the Marlborough Sounds, keeping an eye out for dolphins on the way to New Zealand’s funky capital city of Wellington. Further north, the Tongariro Crossing is one of the world’s great day hikes, or alternatively enjoy the scenery from the road, with some lovely short walks to help absorb the best of it. Mud boils and geysers gush in Rotorua, where you’ll be able to discover Maori culture or enjoy luxurious spa treatment. Continue to Auckland, where the trip to the summit of the volcanic Mt Eden affords exceptional city and harbour views.